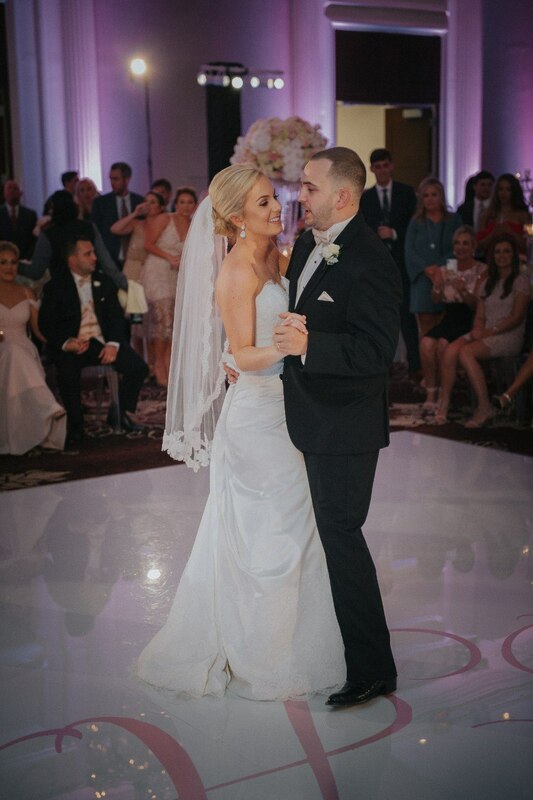 When the bride and groom envision glitz and glamour for their luxe traditional ballroom wedding, it needs to be completely unforgettable! 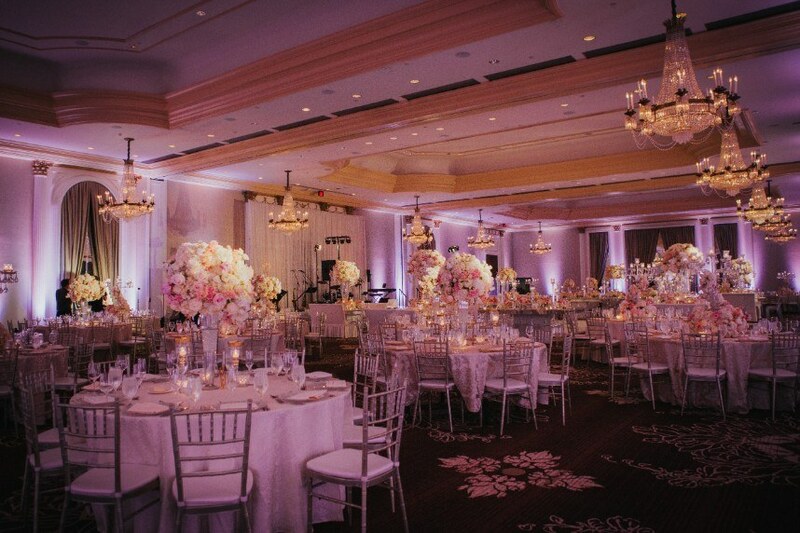 That’s what Houston wedding planner Sarah Bett with Events by Sarah strived to achieve with Chelsea and Marc’s opulent downtown wedding, going above and beyond in each and every detail to make their wedding day one not soon to be forgotten. 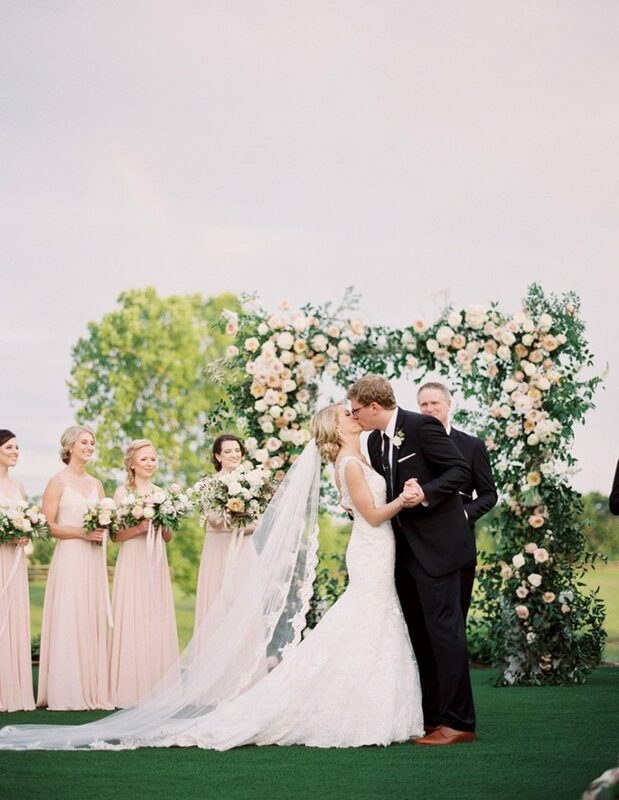 Sarah walked us through her thought process behind the execution of this wedding and shares how this event came together, giving us insight into the process behind such an incredible event! 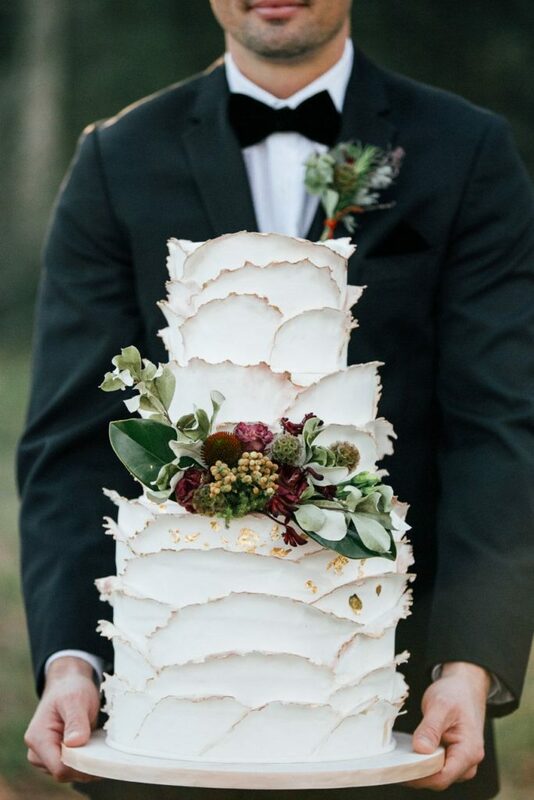 Take a peek below into Chelsea and Marc’s big day with Events by Sarah! 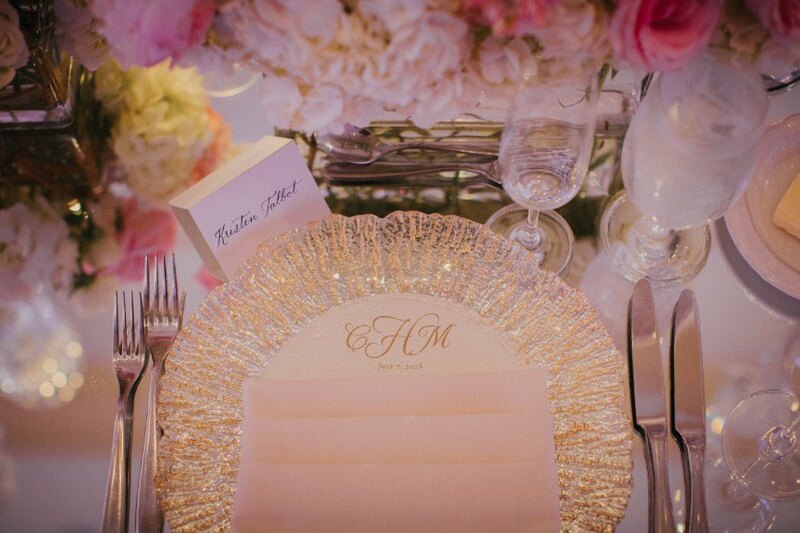 “Chelsea and Marc wanted an unforgettable celebration filed with glitz and glamour and touches of southern elegance. Finding a space that fit the vision was the first priority. 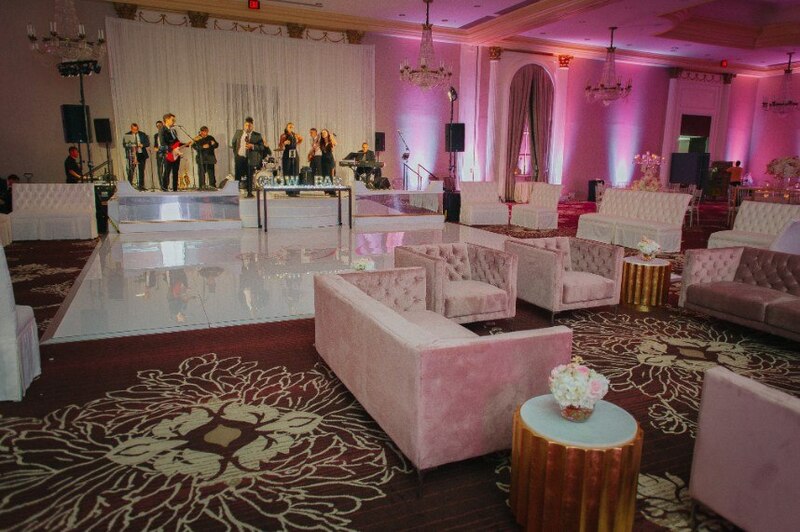 The reception featured blush lighting and lounge furniture specially named for the bride, walls of lush florals and a 360-degree mirrored bar. 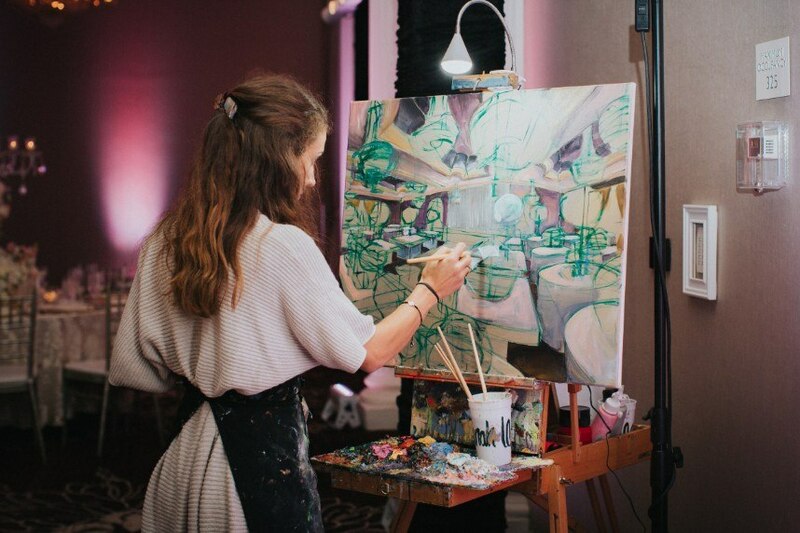 As a special surprise to the couple, a live painter created a work of art reflecting the beauty of their reception. The bride and groom added the finishing touches to the painting which made the portrait event even more special,” Sarah explains. 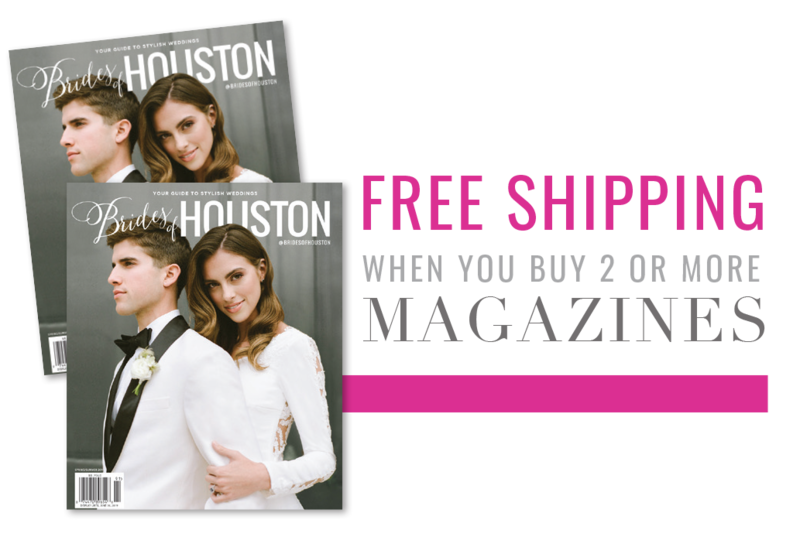 The bride wore a classic ball gown from Houston Bridal Gallery and kept her hair and makeup traditional and chic, while the groom, Marc, donned a classic black tuxedo. 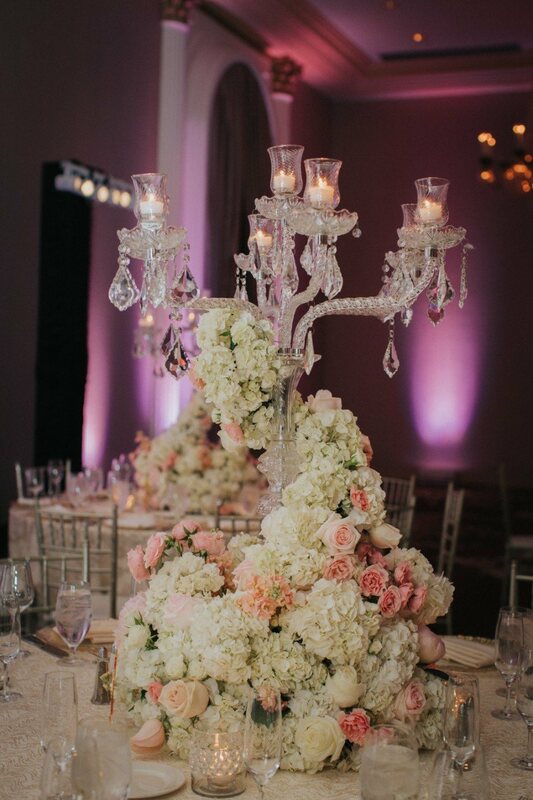 “The ballroom was awash with blush lighting on the walls accented by the flickering of candelabras guiding your eye to the twelve Louis XVII chandeliers glowing softly,” says Sarah. 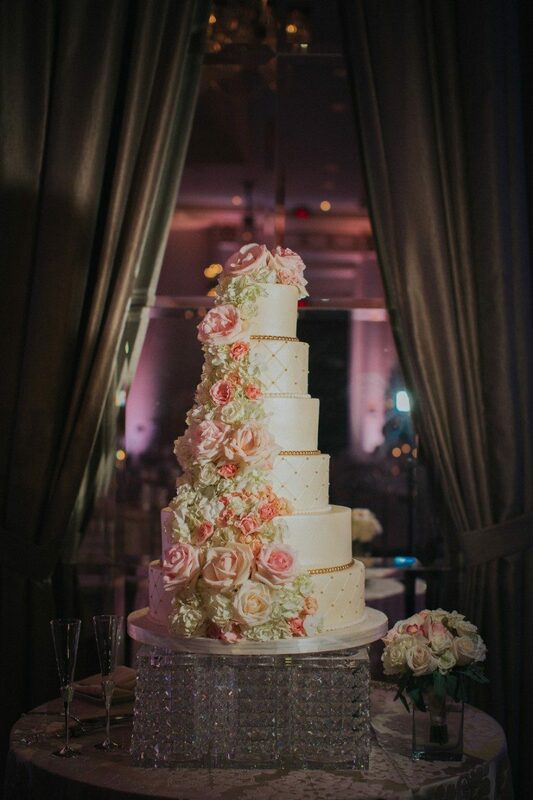 A jaw-dropping six-tiered cake from Cakes by Gina, accented with a gold pearl pattern and cascading sugar roses, was the perfect touch for a memorable dessert. 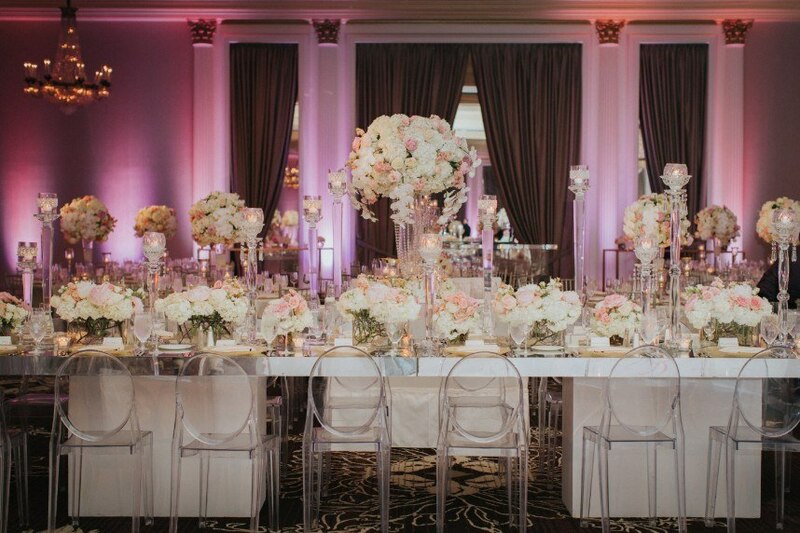 Fit for royalty, the setup and execution of this luxe traditional ballroom wedding blew us away. 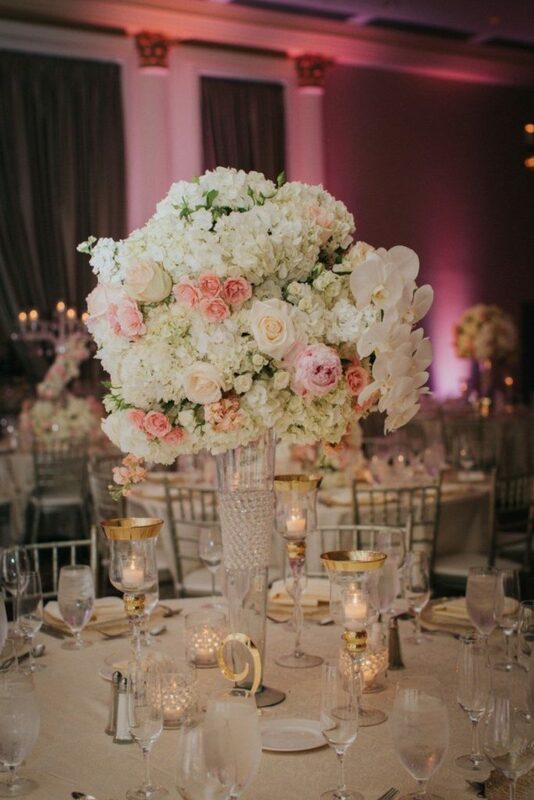 Events by Sarah brings classically styled weddings with flair to Houston couples, offering event design and management services to brides across the area. 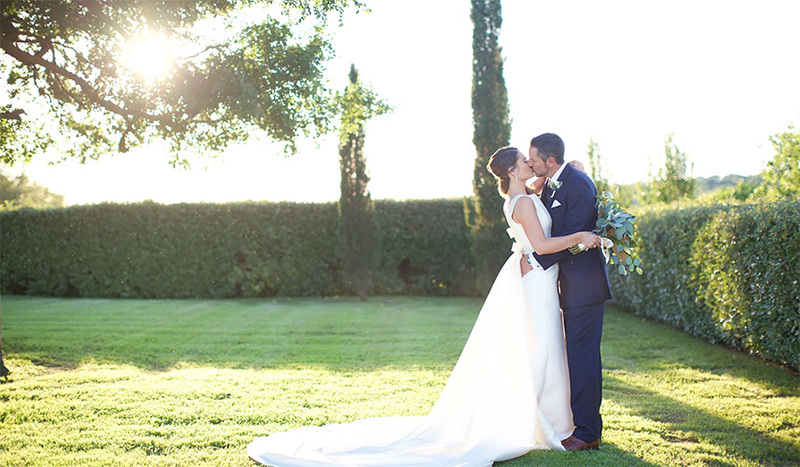 To see more of Sarah’s weddings or to inquire, visit her Brides of Houston vendor profile! Happy wedding planning!